Lorna has been Chief Executive of the Law Society of Scotland since 2009. Previously, she was President Americas for Scottish Development International (based in the US); and, Chief Executive of Scottish Enterprise Forth Valley. 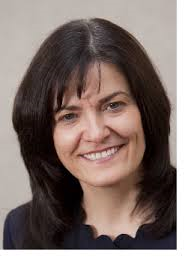 She is a Non-executive Director and Chair of the Audit Committee of Highland and Island Airports Ltd. She is a Trustee of McConnell International Foundation.